Princess Mary has teamed up with the foreign minister, Kristian Jensen, in New York to help launch a new international campaign focusing on the health and rights of girls and women. The launch of the campaign, ‘Deliver for Good’, took place last night in connection with the ongoing UN General Assembly, and Denmark became the first nation to sign up as a state donor. “The health and rights of girls and women is under pressure in many nations, so it’s imperative that we Danes support the new campaign that speaks on behalf of women and girls in developing countries,” said Princess Mary. The new Deliver for Good campaign (see more here) focuses on 12 central investment areas within the realm of health and rights of girls and women. The campaign comes in the wake of Women Deliver, the large conference for women’s rights held in Copenhagen in May. 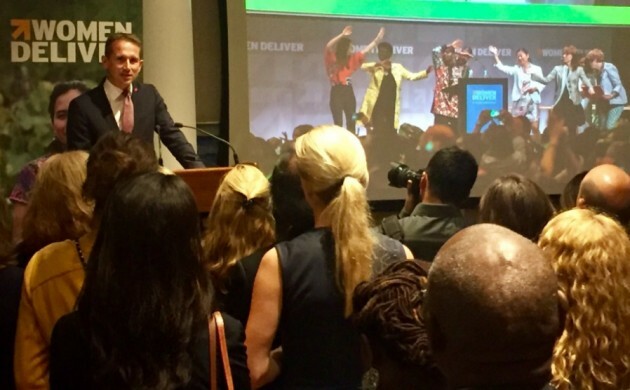 At the campaign launch in New York, 100 of the top ideas and specific solutions concocted during the Women Deliver conference in Copenhagen were presented.